Attorney Debra Rahmin Silberstein, Esq., Ph.D.
Ms. Silberstein is a trustee of the Lawrence General Hospital, currently serving as Chair of the Development Committee. A long-time advocate for public education, Ms. Silberstein is a trustee of ACE (Andover’s Coalition for Education), Ms. Silberstein is a Director of TAVAH, a 501(c)(3) organization providing support for senior citizens to stay in their homes. She is also a member of the Advisory Council, a local education foundation for Bipolar Research at the Massachusetts General Hospital, a consultant to the Sillerman Center for the Advancement of Philanthropy at the Heller School, Brandeis University, a member of the New England Regional Board for the Anti-Defamation League, and a member of the Latino-Jewish roundtable. Ms. Silberstein was recently elected to the Heller School Alumni Board. In March 2010, Ms. Silberstein completed her second three-year term, serving half the time as Chair of the Andover School Committee. 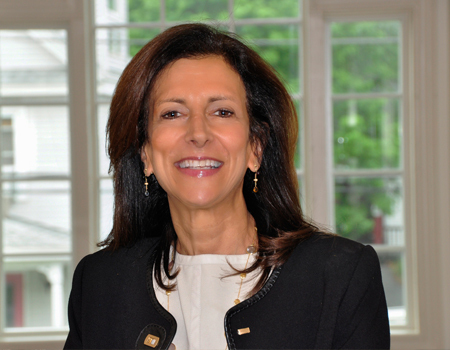 Ms. Silberstein has served as a director of Shed Inc. (1994-2000), Vice-chair of the Merrimack Valley Community Foundation (2001-2004), member of the Andover Finance Committee (2000-2004), a Trustee of Essex County Community Foundation (2004-2008), the Long-Term Financial Planning Subcommittee for Governor Deval Patrick’s Education Readiness Project. She is a past director of the Legal Access Project of the Women’s Resource Center, which provided legal services to victims of domestic violence. In 2010, Ms. Silberstein was a candidate fin the Democratic Party for the 2nd Essex/Middlesex Senate Seat. Ms. Silberstein has written and published on estate planning and tax policy matters, namely; “Conceptions of Fair Tax Policy”, Brandeis University Graduate Student Journal, 2004; “Reform, Don’t Appeal the Estate Tax”, NAELA News, Vol 15, issue 2, March, 2003; and “History of the Death Tax”, American Bar Association Probate and Property Journal , Vol 17, No. 3, May/June 2003. Ms. Silberstein also served as a research fellow to Professor Anita Hill, Brandeis University, on a project assessing education “adequacy” litigation. (2003-2005). In 2009, Ms. Silberstein successfully completed her dissertation study, The Changing Nature of Philanthropy: A Study of Giving Between Generations within Jewish American Families. Last updated by Debra Rahmin Silberstein on June 9, 2016 .